We offer high quality custom chair mats that are 100% made in the USA and Green Guard certified. We offer custom chair mats to fit any budget and floor type. Delivery is always fast and free anywhere in the Houston area with most orders being fulfilled in less than 48 hours. Every single one of our chair mats come standard with beveled edges and we have options available for any floor coverage needs including over-sized chair mats and floor runners. Now offering complimentary measuring, delivery and installation in the Houston, Conroe, The Woodlands and surrounding areas. 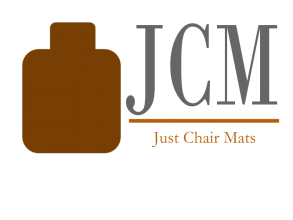 Our trained staff will come to your location to accurately measure for your custom chair mat. This eliminates all the guesswork and hassle and ensures your workstation is properly covered. After your custom chair mat has been cut, our team will come to deliver and install your mats all at no additional cost! Discounts available for orders of 10 or more mats. Contact us to request a quote! At 1/4″ thick the Executive is our thickest mat available. 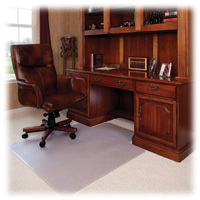 Perfect for offices with thick carpet and padding The Executive provides an hard, smooth surface to roll on. These extra thick mats come with our famous no hassle lifetime warranty. By far our most popular line. 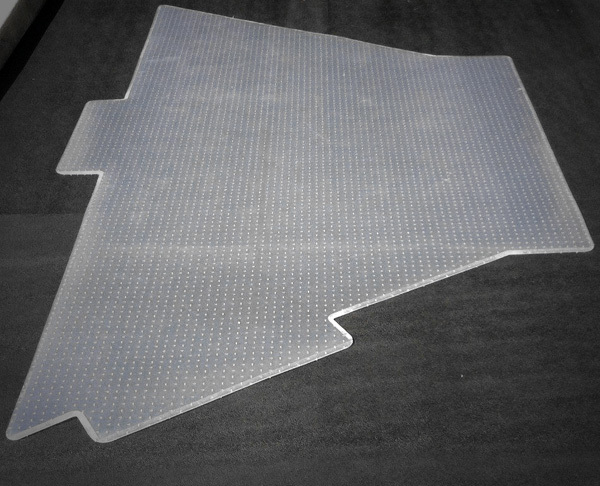 these chair mats are made from .200″ thick clear vinyl and also feature our no hassle lifetime warranty. 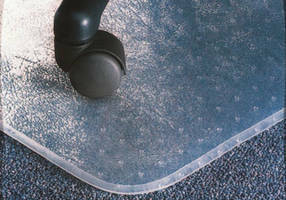 Well suited for nearly every carpeted office environment these mats are the perfect balance between price and quality. Our most affordable chair mats for carpeted floors, The Economy line is best suited for low pile carpets with no padding. They are an economical option to provide protection and maneuverability in the office. 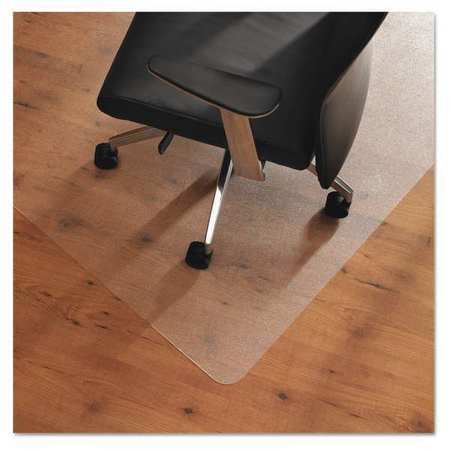 We offer both clear and black vinyl non-studded chair mats to protect your hardwood or tile surfaces. They provide a uniform surface to roll your chair on while protecting the floor underneath. 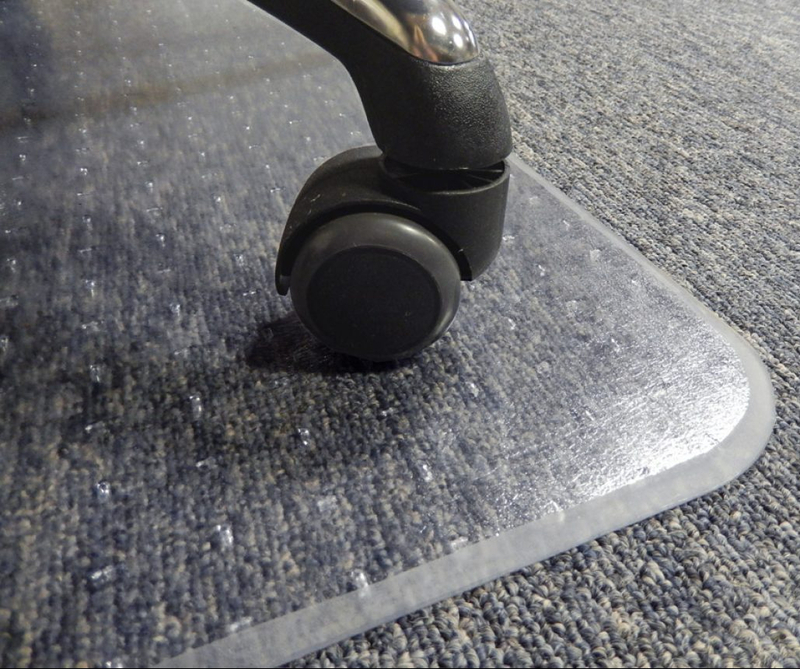 A common problem found in many offices is moisture forming under the mat due to improperly sealed floors or humid conditions. The moisture under the chair mat is trapped so it accumulates until mold or mildew starts to grow. This creates a very unhealthy condition. The Moisture Control Feature provides holes every 2 inches to allow moisture to escape! They are made by hand in our state of the art production facility and are perfect for basement offices or other high-humidity environments. If your current mat is discolored or hazy, it most likely has moisture built up underneath it. 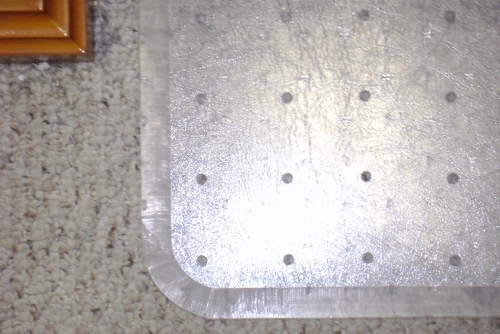 All of our high quality custom chair mats come standard with beveled edges. 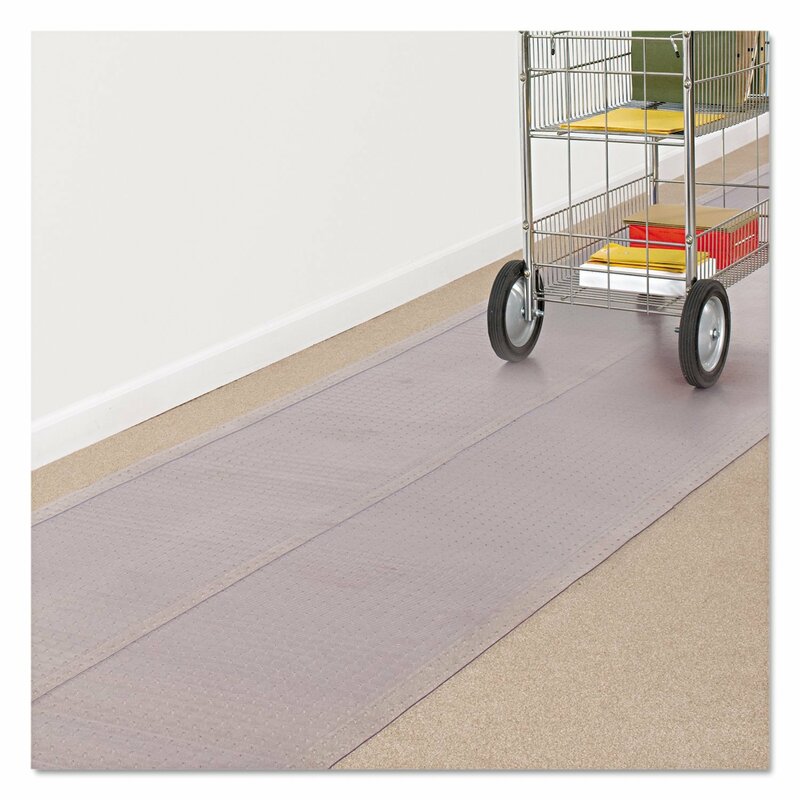 This greatly reduces the tripping hazard and makes rolling on and off the mat a breeze. All of our studded chair mats feature the AnchorBar cleat system which features a series of staggered cleats to securely hold the mat in place without damaging the carpet. 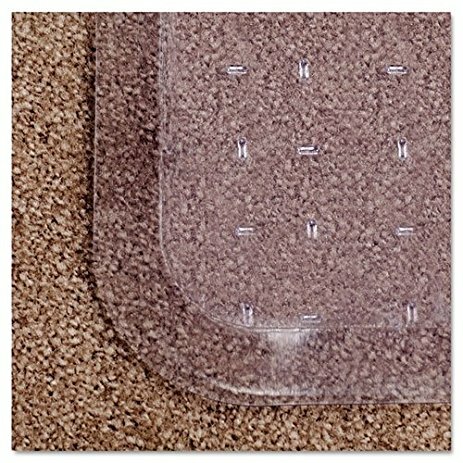 Our floor runners provide a valuable defense for carpets helping extend the life of your flooring. Our runners are manufactured with the highest quality materials and workmanship. Clear material allows the color and design of your floor to show through while still protecting it from heavy foot or cart traffic. Made from the same material as our chair mats, these floor runners are rigid and thicker than traditional floor runners and are available in 36″ & 48″ widths with lengths up to 50′. Like all of our products they are 100% made in the USA! Need a really long mat? We offer lengths up to 50 feet in our Premium, Economy & Hard Surfaces materials.